This year, our season started off with a double-header. A long-time client challenged us to update both of their websites at the same time. 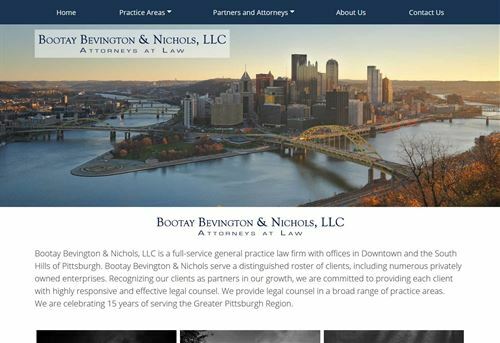 Bootay Bevington & Nichols, LLC is celebrating 15 years of serving Pittsburgh and wanted to celebrate with a more attractive, mobile friendly website. Our content writers set up SEO-rich dedicated pages for each of their services offerings so that potential clients would be able to see the full breadth of the attorneys' skills. Each page features a CTA and a form to help capture leads on the spot. 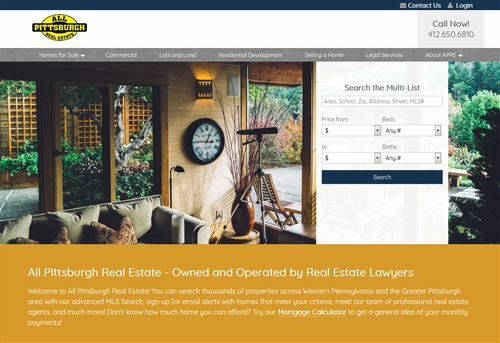 All Pittsburgh Real Estate is owned and operated by the same team of lawyers. After seeing a demo of our new ListingManager interface, they were eager to get the upgrade on their real estate website. In addition to content redevelopment, their site takes advantage of all of the features of ListingManager, including a sleek map-based Search interface, lead capture techniques, and 15 minute updates from the MLS.